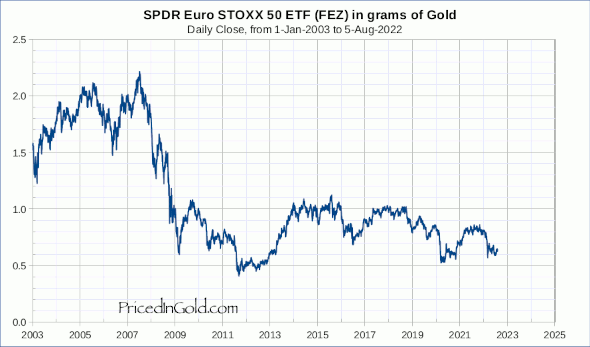 FEZ is an ETF based on the STOXX index. 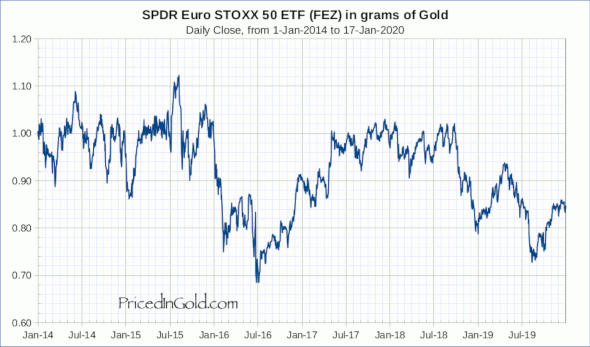 One difference is that my chart of FEZ treats accumulated dividends as a reduction in basis, so older prices will appear somewhat lower than the corresponding prices in the STOXX chart. Fantastic and very useful chart! Is it possible to see this one going back further in time? 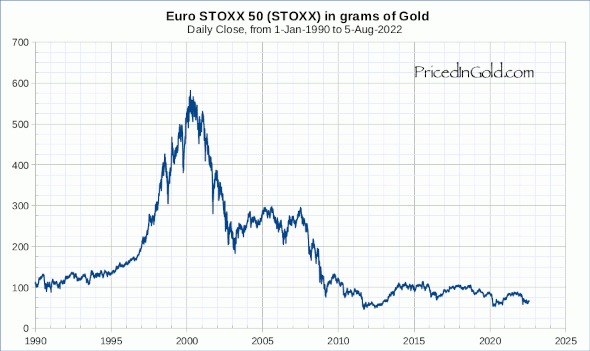 Would be very curious to see a few more decades for both this and the HUI/gold stocks both. Keep up the great work! What an excellent resource you've provided here. Many thanks for that.